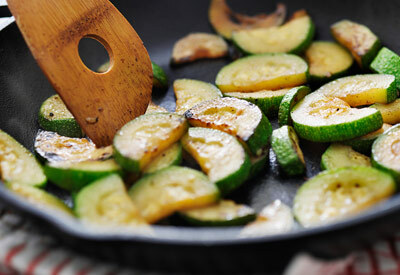 In a large skillet, saute the zucchini in oil for about 4 minutes. Add the garlic and continue to saute for 1 minute longer. Sprinkle with Italian seasoning, salt and pepper and and serve at once.